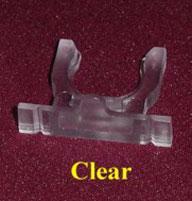 Light Socket with On/Off Switch. 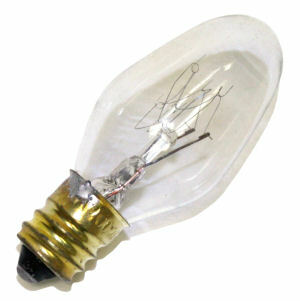 A clear 5-Watt Bulb is Included with each socket. 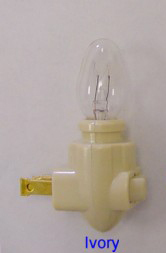 This socket will take any C7 style bulb up to 7 watts. That means all the colored Christmas light bulbs will work.